...[W]e must be glad that we can come together in the spirit of wanting to bring about a better future for humanity by working together with those who are trying to raise and educate the generations to come in the sense of real knowledge and of love for the human being.  As the only Waldorf school in Tennessee, we are committed to providing our students a rich Waldorf educational experience. Our school relies on gifts to the Annual Fund to ensure that we meet that goal. The Annual Fund is our yearly appeal to our community – parents, grandparents, alumni, alumni parents, faculty, staff, and friends – to raise funds to bridge the gap between tuition and the school’s operating expenses. Your generous contributions to the Annual Fund are put to use in many ways, including expanding our academic programming, supporting the professional development of our faculty, providing student support services, funding tuition assistance, and purchasing items to meet the daily needs in the classrooms. No gift is ever too small! For more information on how you can support Waldorf education in Tennessee, through gifts of cash, stock, other assets, annuity, or bequest, contact our business manager William Bentley at wbentley@lindenwaldorf.org. * In 2016-2017 we raised $77,650, exceeding our goal of $75,000.